It was also mentioned that it is only possible to truly express oneself in the own mother-tongue. My jaws dropped a little. It was insult upon insult. To me. A Norwegian writing in English. That’s why I thought I would write a post on WHY I write in English. It’s not because I’m a language genius (which I’m not), it is not because I have forgotten my mother-tongue, it is so not to be mean, it is not because my Norwegian vocabulary is “too poor”, and it is not because I have forgotten where I come from. I will probably write in Norwegian again some day, but right now, I’m writing everything in English – even translating the Norwegian stories into English. 1. I write in English because the biggest part of my audience reads in English. My first three book didn’t get published in Norway after several rounds of editing and sending it to publishers. Norwegian publishers rarely publish fantasy books, the chances are very small to actually become published. 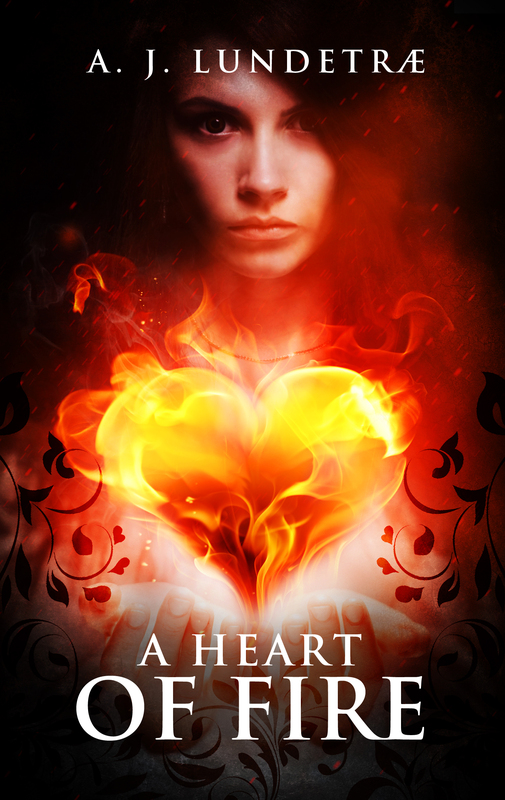 It is now a part of my business plan to publish my book A Heart of Fire as an e-book before I take it to the next publisher again. I need readers in order to get a publisher interested. There are by far more English speaking e-book readers than Norwegian. Even most Norwegian fantasy readers are reading in English because the Norwegian e-book market / fantasy book market is very limited. I write in English because my audience reads in English. I’m not excluding that I will one day translate A Heart of Fire back to Norwegian, I’m saying that I want to reach my core audience. On that topic I also want to add that it is of high priority to me to translate my books to German once they are out. A third of all my blog readers are German. Moin, liebe Freunde, wie geht’s euch? 2. I write in English because I want to publish my e-book on Amazon. This is not (yet) possible in Norwegian. 3. I write in English because I love the English language. There. I said it out loud. Will I get hate mail now?! I started out writing in Norwegian, but even if I had been published in Norwegian first, I still would have tried out writing in English. I’m an internationally oriented person, it’s been seven years since I last lived in Norway, my subjects of study were intercultural understanding and socio-cultural anthropology. I’ve lived in England. I’ve read the entire series A Song of Ice and Fire by George Martin in English. And even if all of that wasn’t the case: I think English is a beautiful language – so why shouldn’t I get to use it? Should I limit myself by where I was born? To “protect” the Norwegian language from becoming extinct? (It is NOT under threat of extinction!) To show how utterly proud I am to be a Norwegian? Yes, I’m Norwegian. But I’m also a world inhabitant. Why can’t I be both? I’ve always loved writing, and I’ve always loved learning languages. I admit that I will need an English native speaker to proofread A Heart of Fire. But I refuse to accept that “I can never truly express myself” in another language than my mother tongue. I’M DOING IT RIGHT NOW. It is possible to prefer more than one language. I still love the Norwegian language, how could I not? It is the language I use to communicate with so many of my loved ones. This is also my reason for loving the German language. Am I a disgrace for saying this? Guys! Let’s stop this judgmental tendency right now! You should all write in the language you want to, no matter how small or how big that language is! Every language holds amazing possibilities to express what you want to say. Every language holds the power to turn words into awesome, colorful stories. People love to judge and take the moral high ground and feel superior, especially in packs. You write in English because you want it, because it allows you to express yourself creatively, because it’s your choice, your art, your intention to share with the largest possible audience. If you make mistakes like everyone does, a good editor will help you to sort them. Your reasons are none of their business. And you are so correct that random, arbitrary barriers imposed by fake moral and other fallacious logic serve only as a limiting force. Not to mention that a successful book in English can always be translated in Norwegian. Thank you!!! ❤ feeling a bit down over here, but your comment made me smile! You’re right. Artist often get critizied, it doesn’t mean we should listen to all of it. Stephen King argues that we should only listen to criticism when given by serious people who are reviewing our work and only when more of them seem to agree on the same point. Sweetie, don’t feel bad. It’s normal to feel bad especially under such harsh and unfair criticism. The problem here is their expectations. You are brave and you don’t want to be an “aspiring” writer. In fact, I never liked the term “aspiring” because it denotes wishful thinking but no action. One is a writer if they write. You write. You are a writer. Now you are working on becoming an author. You didn’t abandon your mother-tongue. You just changed the order of things. I would love it if people learnt to stop judging and just accept that the individual views they carry are not natural laws. Because these people behave as if they are. And if I am to be harsh, other people who treat their views as natural laws are prudes, bigots, etc. Just smile yes? They aren’t worth it. Agnete, I’m so sorry to hear that people would say such a thing. It’s apparent that those people are simply small-minded and unaware of the possibilities of writing in English. As you said, most readers (not all) read in English. It’s a more widely understood language than Norwegian, meaning you’re able to offer your books to more people. Additionally, I think it’s even cooler for a non-native English speaker to write their book in English. Do you realize the amount of effort it takes people to write in a language that isn’t their mother tongue? I mean, goodness! I took 8 years of German and I can’t imagine writing a book in German. That’d be amazing! For that, I commend you! That is some serious work, effort, and dedication right there. Ich würde am liebsten alles auf ” Plattdeutsch ” schreiben, aber wen würde ich damit erreichen ?